Have you also considered it, but something held you back? Does it bother you that you have an asymmetric mouth? 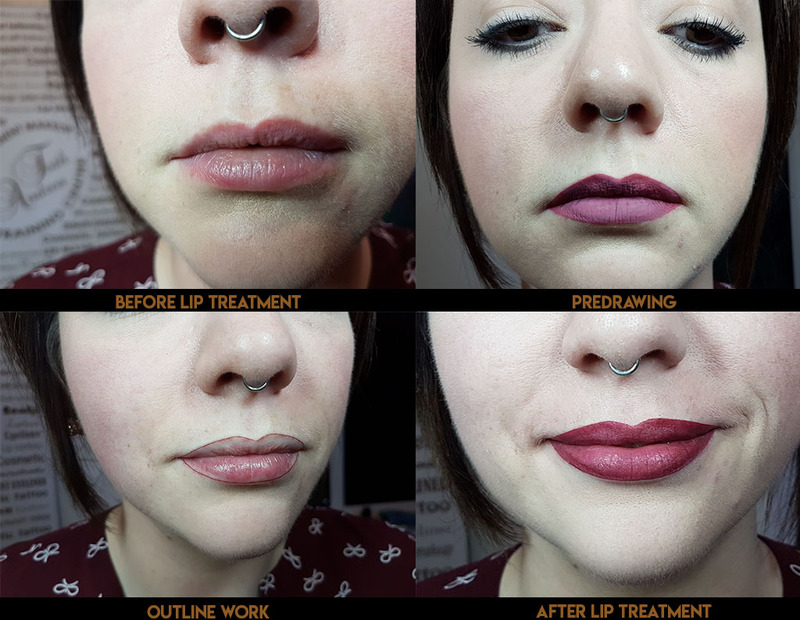 Would you like to achieve a fuller look on your lips? Are your lips too thin? Are your lips toneless, without a contour edge? Do you still have the marks of an accident, operation or herpes? 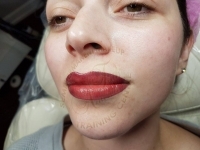 Were you treated multiple times in a permanent makeup saloon, but nothing remained in your lips, or they have become spotty? 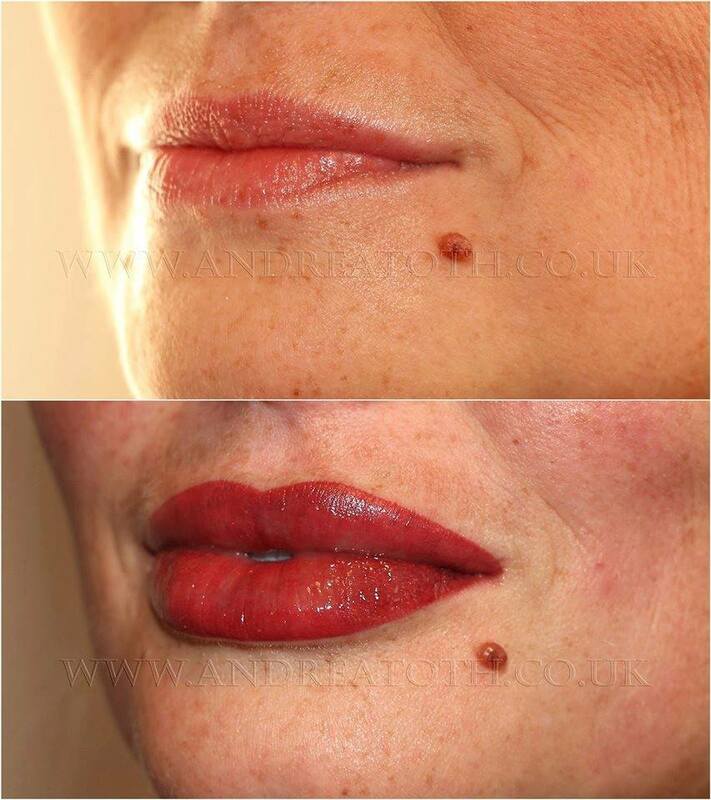 Have you thought about permanent makeup? ...we can create it with a natural and yet elegant look! 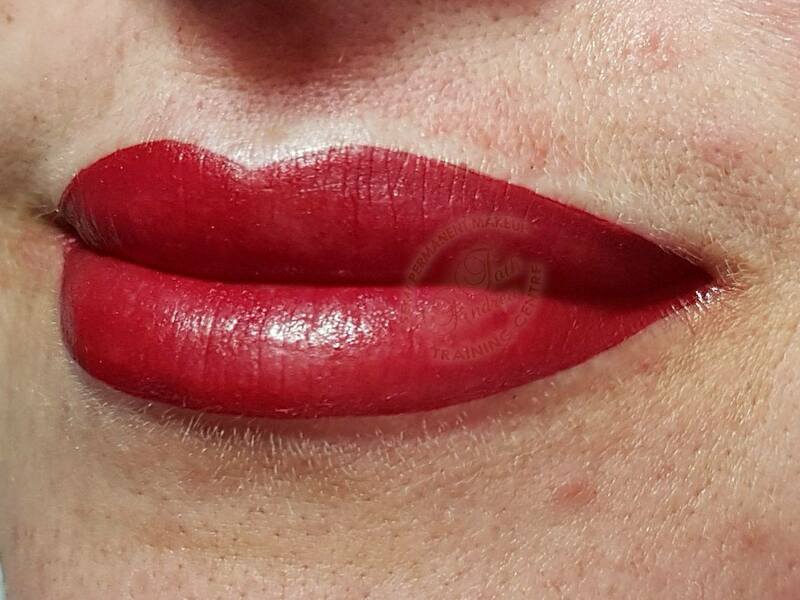 We love the shading of lips, because of all the permanent makeup treatments this one can turn a woman’s face lively, fresh and provide that proper makeup-look! Achieving lips with a beautiful form and shade is no longer a dream; we may wear it at every occasion if we choose shading of the lips! Contour in itself belongs to the past... Do you remember those brownish-chocolate coloured lip contours? We assume you have! Fortunately it has gone out of fashion and gave way to feminine beauty and natural look. The beauty ideal embodied lips that are full, finely curved and just as vivid as to make the lips notable so that its beauty and freshness is apparent. Shading in our beauty parlour... If a young girl has lips with lively colours, with an immaculate shape, she would never think of cosmetic makeup. However, there are certain parts and age-specific issues that can be corrected with shading and meanwhile we create a beautiful, lively pair of lips which have a brand new radiance as well! Look at your lips, and if you can describe them with the below adjectives, then shading can be helpful for you! What kinds of results are expected? It is of utmost importance to choose the colour in accordance with your personality and your skin with which the shading will be done. In each case a precise, meticulous and exact pre-drawing is carried out, where you can see what form your lips will take. Our Exclusive permanent makeup devices having a perfect needle alignment technique, we create a really thin contour line, which gives a new outline to the lips, but will never look as a distinct contour – only if you request it. With the blending of the shaded and contoured skin surface the lips come to life, hereafter we see lips that have perfect outline, chic form and symmetric shape. If classy and refined effect is the most important... If natural look is of key importance to you then – with the application of a neat colour, shading will grant a modest vivacity to the face, meanwhile, if necessary, the shape, outline and symmetry of the mouth is corrected. 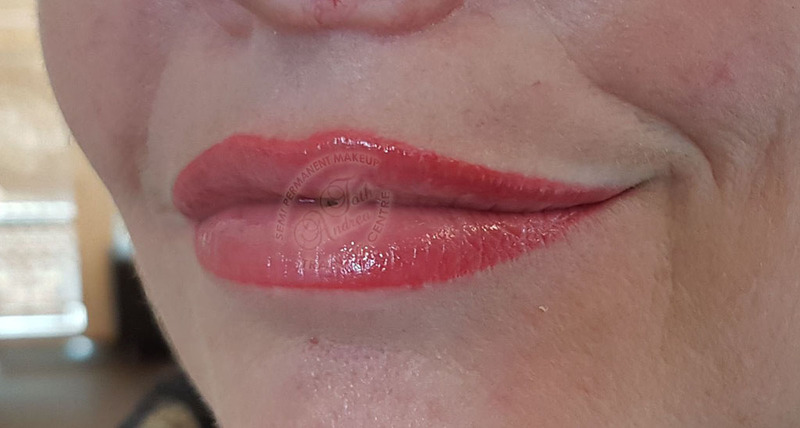 We can achieve gently and naturally accentuated lips – and the others would not notice that it is indeed a permanent makeup. If you want to achieve a “makeup” look, you may choose a fuller colour, you may surely want to have lips whose nice shape is accentuated, sporting a more vivid colour – and forget about applying lipstick. If you demand and enjoy permanent beauty at every occasion. Others would only sense that your lips are really beautiful, your makeup is immaculate at all times – and how come it never gets smeared? We offer contoured lip shading, contourless lip shading or 3D, 5D technique. Surely you must have heard stories from your colleagues, acquaintances about treatments after which the pigment did not stay in the skin! This is out of the equation when we create permanent makeup! The devices ANDREA use allow for a gentle treatment, as a result only a very thin scab will form, healing is quick and the pigment will stay in the skin at all times! There is no need for 34 corrective post-treatments, the end result is not spotty, and there is no fruitless struggle! I have had my eyeliner, lipliner and eyebrows done with this very lovely and talented lady. So professional and really makes you feel at ease. The care whilst there is amazing, and the aftercare is fantastic. Highly recommend and wouldn't trust anyone else. Seriously this is the place to go for your semi-permanent make up. Can't wait to pop back for a top up soon. I've had my eyebrows, eyeliner and lips done and they are incredible. Andrea is friendly, kind and very professional. I felt at ease from the second I walked into her salon. I recommend to everyone I know and get loads of great comments about my make-up. Can't wait for next appointment. Andrea had been recommended to me by a friend. As soon as I met with her, I felt I was within professional hands and certainly with someone who was extremely experienced in eyebrow tattooing. She explained everything, was easy to chat to and so keen to ensure everything was just right. Amazing and would certainly recommend her to anyone. 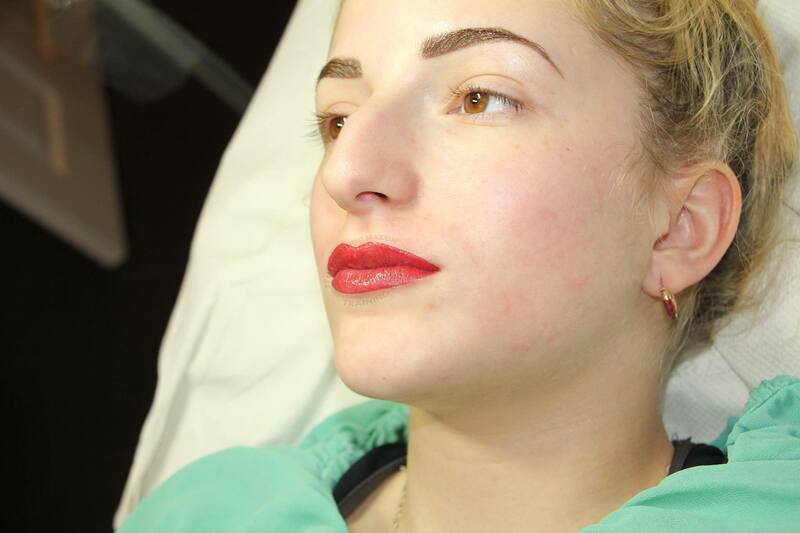 disinfecting of the skin, peeling, anaesthetization with gel and liquid, discussion of the form, design of the form, picking colour, pre-drawing with a special pencil and special technique, all this in 40-60 minutes, permanent makeup with ANDREA’S machine and pigment, continuous aesthetic treatment, disinfecting of the skin, post-treatment, cold compress. After a few weeks correction on 1 or, if necessary, on 2 occasions, home post-treatment cream is a gift! We do not use contouring on its own; however, each lip shading treatment involves the creation of contour, which however remains blended in. Despite of this, if someone prefers a more defined contour in addition to shading, it is also possible to prepare it this way! 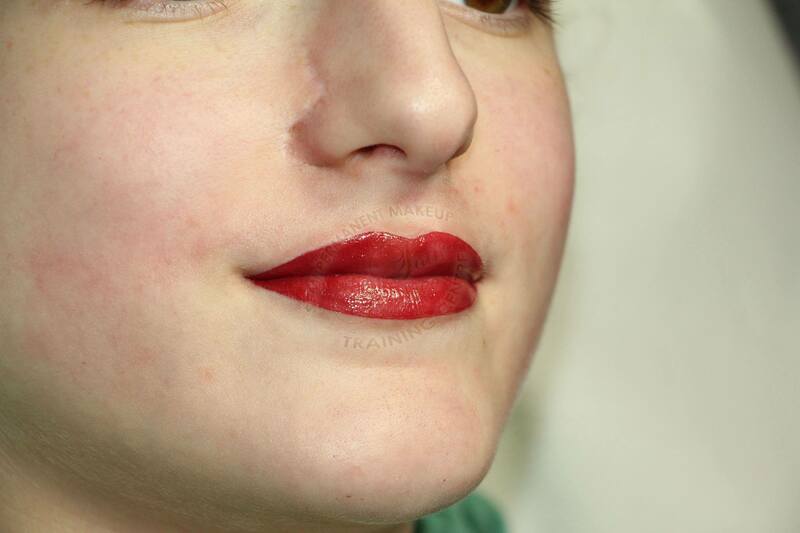 Half of the surface of the lower and upper lip is pigmented, there is no defined outline, and the colour fades towards the inner part of the lips. 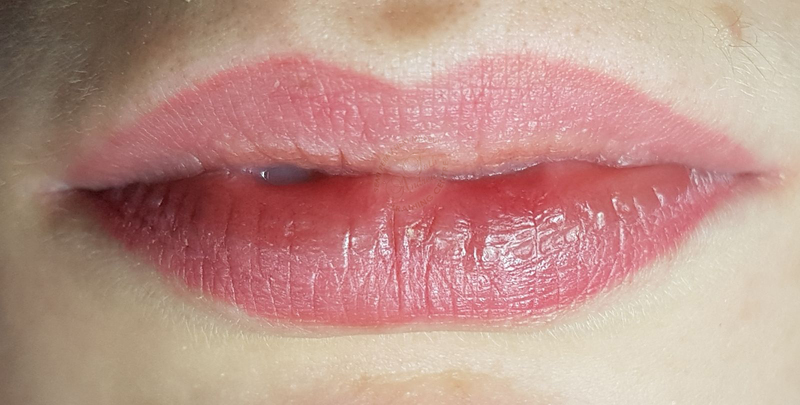 This technique may only be applied with colours that are in harmony with the client’s own lip colour, which means colours that are not too dark. In case of thin lips, semi-shading is not sufficient, it looks optimal on normal or full lips. With this treatment, the whole surface of the lips will be shaded; therefore any hue may be used from the faintest to the most striking colour. It is ideal for clients with thin lips, because the lips will be more accentuated by the full colour-effect. It is also ideal for clients aiming to achieve a “rouged” look; in this case full colours are applied. 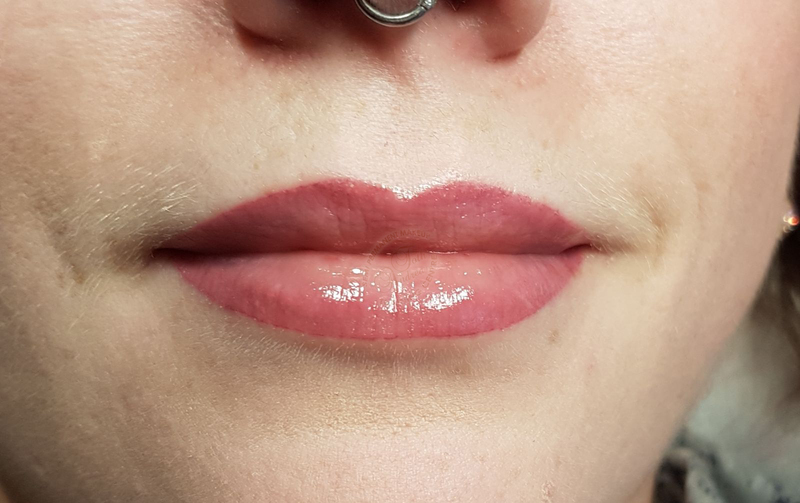 This technique allows for further forming of the lips and to make the lips more full. 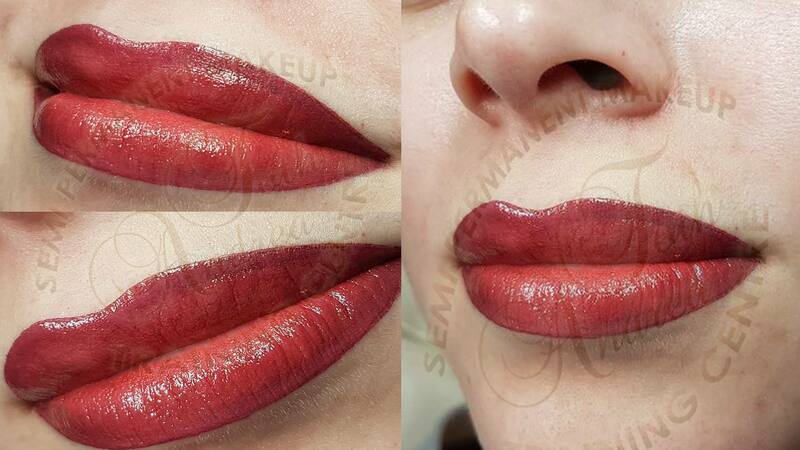 It is ideal for those who like makeup applied on the lips, who want to achieve a special effect or new colour.